Providing the kind of objective feedback that writers crave with honesty, integrity and insight, from editors at the front line of publishing, literary agencies, TV, radio and stage. No matter how great your talent you will be unlikely to fulfil your potential as a writer without good editorial feedback. Writing is a complex discipline involving craft as well as art. We will give you the constructive criticism you need to move your writing forward and tell you what general readers never will. 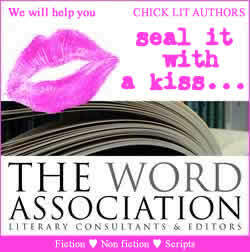 The Word Association provides editorial feedback to all levels of writers, literary agents and publishers. We know about the many different elements that go into successful writing and address them all, point by point, in our editorial reviews. At The Word Association, we do not simply give you general observations about your work or tell you about our personal likes and dislikes. We look carefully at your individual style and what you are aiming to achieve. We examine how key elements are working together on the page; our observations are tightly structured providing you with both rigorous and useful feedback that is hard to find elsewhere. Our specific, concise editorial notes will help you achieve your creative goals. Other editorial consultants offer advice from published authors. We believe that developing somebody else’s writing is a very different discipline from writing and editing your own work. Being a published author does not necessarily give you the skills to help others. Our team of editors are proven professionals with experience in a wide range of editing at the front line of publishing, literary agencies, TV, radio and stage. They pull no punches in pinpointing specific areas for improvement and focussing on what you need to make your writing better. Whether you are about to embark on finding an agent or publisher for your work, if you have done the round of agents only to receive standard rejection letters, or whether you are a seasoned writer, The Word Association will give you invaluable feedback in rooting out weaknesses and highlighting the strengths of your work. If you're looking for someone to massage your ego or tell you your writing is wonderful then we may not be the literary editors for you. 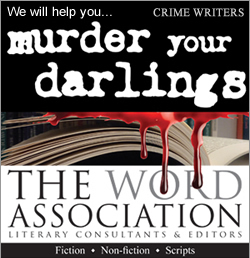 If you're serious about writing, then we very much look forward to hearing from you.